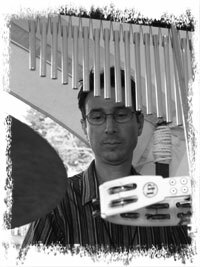 I'm a percussionist with the Jon Camp Band and Color Blind, a Portland ME funk, R&B dance band. I've been playing in and around the Portland area since the 70's in bands mostly focused on funk and R&B. For me the groove has always been where it's at and funk is what gets me there. The Jon Camp Band is certainly a different situation than what I have been involved in, but it allows me an opportunity to really get creative and carry the percussive foundation, along with bassist John Michaels. It's been a great situation for me and I'm proud of the music we are making.